Genealogical Society of South Brevard Welcomes You! 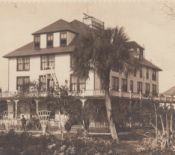 The Genealogical Society of South Brevard (GSSB) provides resources, programs and materials for family historians. Explore our website by clicking the menu at left for all the options available. ​For questions or assistance email us at contact@gssb.net. Click here for upcoming events: EVENT SCHEDULE. Ann Osisek will present for this program. She has presented several times for the GSSB and other area groups and is an expert genealogist. 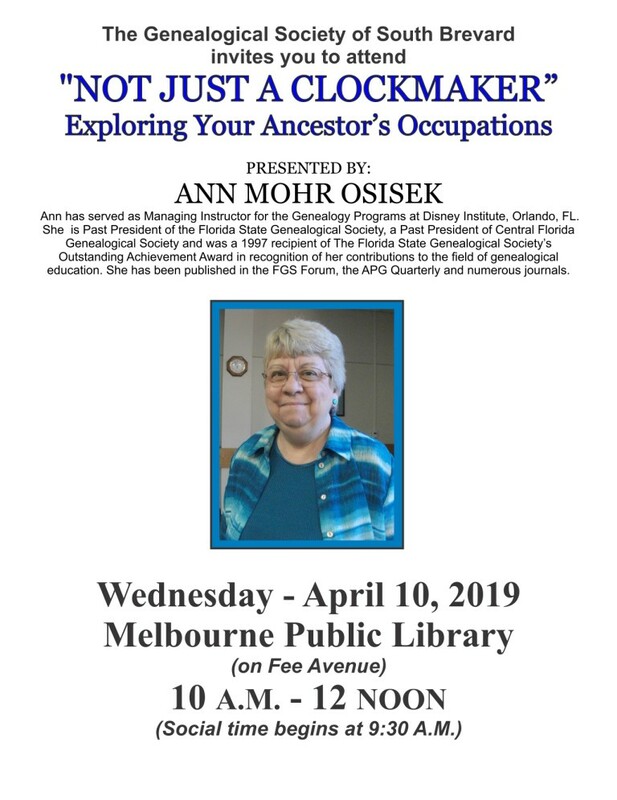 Ann provides educational services and among many other credentials, she was the past President of the Florida State Genealogical Society and the Central Florida Genealogical Society. FCHS Program announcement will be made shortly once plans are finalized. The GSSB is publishing its second "Yearbook: A Look Back" as an annual publication which presents information and activities of the society during the past calendar year. It was created to provide a look back for members at the past year and includes summary information on programs, events, activities, society news, publications and other information related to the previous year of operations. The yearbook is intended to be an archive of the year and document efforts of the society for its members. It is hoped we will be able to publish it at the end of each year so members will have access to a quick reference or "Look Back" at things of interest from the past year. Once logged in, members can find this and last year's publication by clicking the "GSSB Archives" menu item and then clicking the "Annual Yearbook" tab. Or if you are already logged in, click this link. 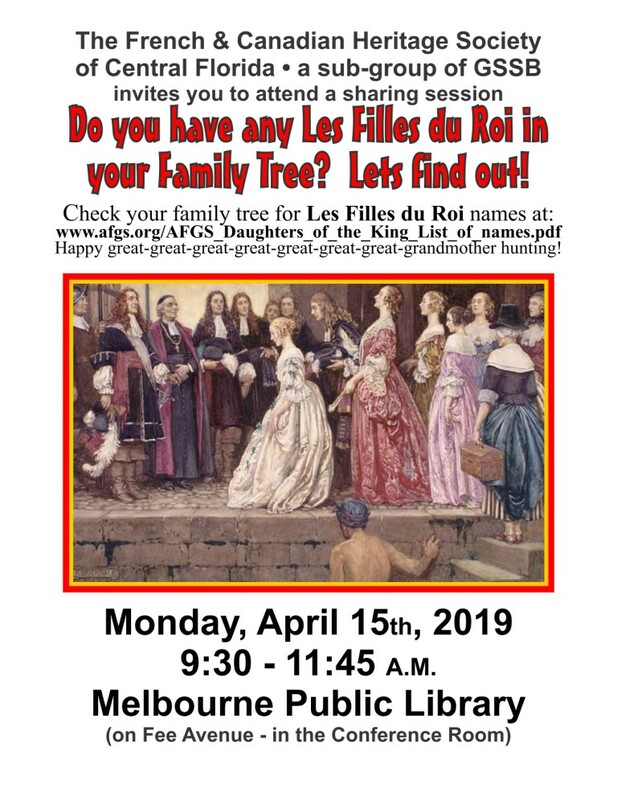 Instructor Marian Harrison will teach an intermediate class for those who have some prior experience and knowledge of family history research and would like to begin to enhance their knowledge and skills beyond the beginner course level. Course topics and times are pending and will be announced here once confirmed. Click here for a complete listing of events.